2018 season has been a great one, and some great fishing to close out the year is no doubt ahead of us. As the weather cools, fishing will really heat up. Its been great all year actually. But it will actually get better as things cool off. Many thanks to all who have supported us as we have had a great year even though we had a very challenging year with family stuff with having lost two family members one of which was my mother and the other our youngest son Joshua. Right after those two things I was involved in an accident that quite frankly, if not for God’s grace, I would not be here and be writing this. There have been times I have provided slow service, poor service, no service…. and for that I am sorry. We have been through the trial of our lives to put it straightforward. But the passion for what I do has never been greater. We are looking forward to 2019 with great anticipation and I will strive to get back to the level of service for which we have been known for decades. We are looking forward to a great 2019 season as well. 2019 will mark our 31st season of guiding…..really incredible when I think about it….how fast time passes. 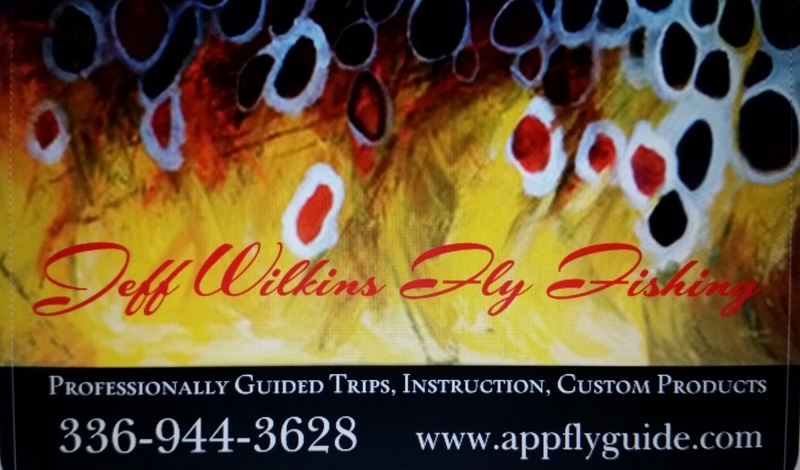 Please contact us for more information regarding anything, trips, lessons, general information, etc. If you call or email I will try to get back to you as quickly as possible. I will get back to you as soon as I am able. I would recommend leaving a message in my voicemail box. You can also email me at jwflyfishing@gmail.com or text me at 336-944-3628. You can contact me via the information below or by filling in the contact form. Email and text are the easiest ways to reach me during busy periods, sometimes they go through when a call won’t because a lot of areas I guide and fish in have poor service. Let’s go flyfishing! Full in Red means we are fully booked for that month, Full or Half Day means we can do either that day, Half means we can only do a Half day (either am or pm) that day.